Pleasant hotel grounds. Great reception. Friendly service. Nice building. 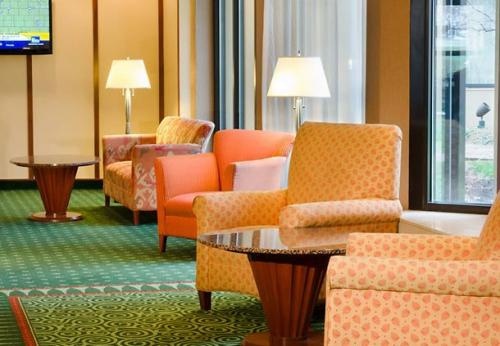 Located in upscale northeast Indianapolis, the hotel is conveniently situated near golf courses and great shopping venues, as well as downtown Indianapolis and major highways. It is also located only 39 km from the Indianapolis Motor Speedway, home of the Indy 500. The Greyhound bus station is approximately 29 km away from the accommodation. 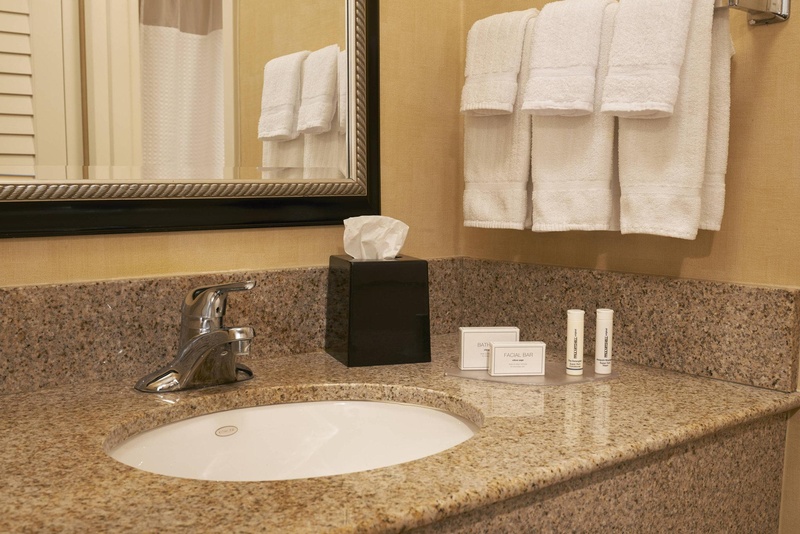 The remodelled hotel offers the comfort guests deserve. The warm inviting lobby and conversation area welcomes guests. This is a modern hotel to recuperate and relax in. In addition to a 24-hour reception and check-out services, a hotel safe and lift access to the upper floors, further facilities include a café, newspaper stand, breakfast room, conference facilities, wired and wireless Internet access and a laundry service. Those arriving by car may leave their vehicles in the hotel car park. 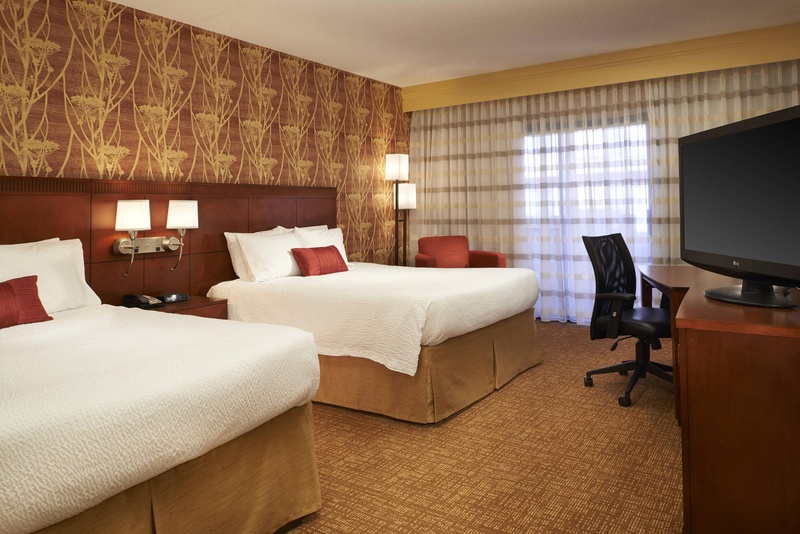 The spacious guest rooms feature crisp linens and fluffy pillows. 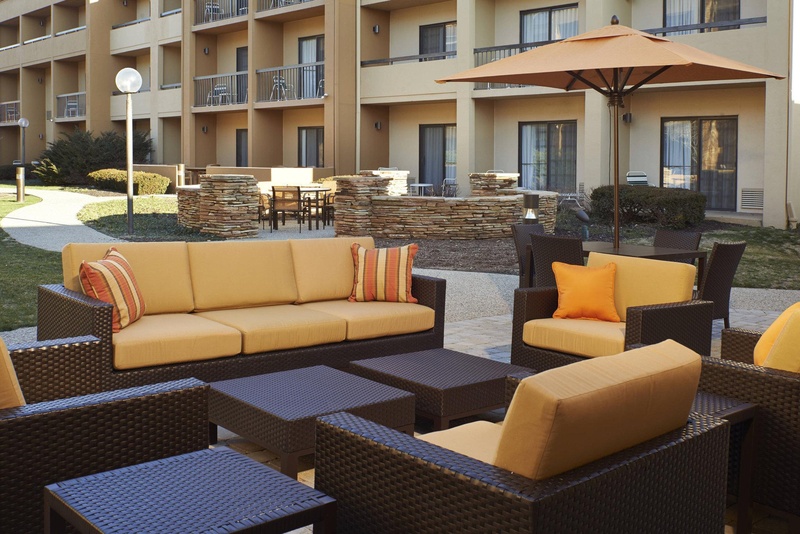 Complimentary high-speed Internet, both wireless and wired Internet access and a TV with cable are all provided. In-room tea and coffee making facilities, a hairdryer, iron and ironing board and individual climate control are also included. Further standard features of accommodation units include a shower, bathtub, direct dial telephone, radio and a double or king-size bed. Work-outs are easy with the hotel's 24-hour gym. 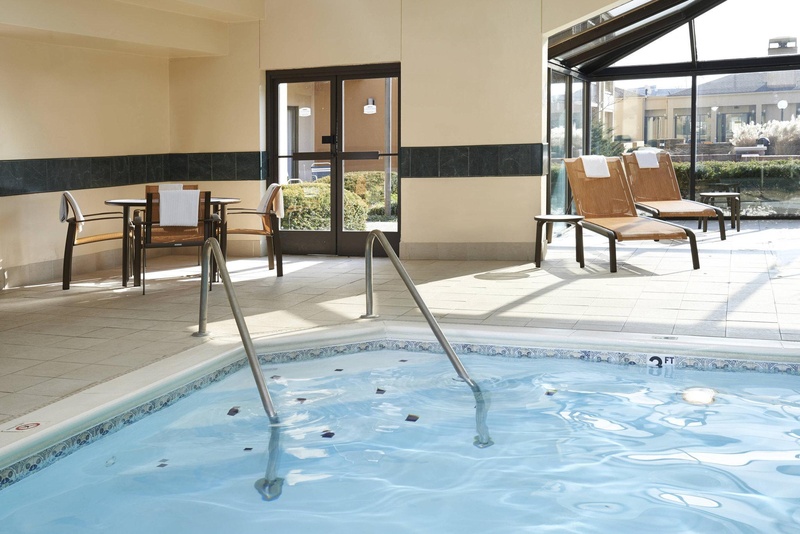 After a long day, guests can take advantage of the indoor heated swimming pool and hot tub. Both are complimentary. Fans of the fairway can head to the nearest golf course, Fort Golf Resort, which is approximately 12 km away from the establishment. The hotel provides food options at any hour. 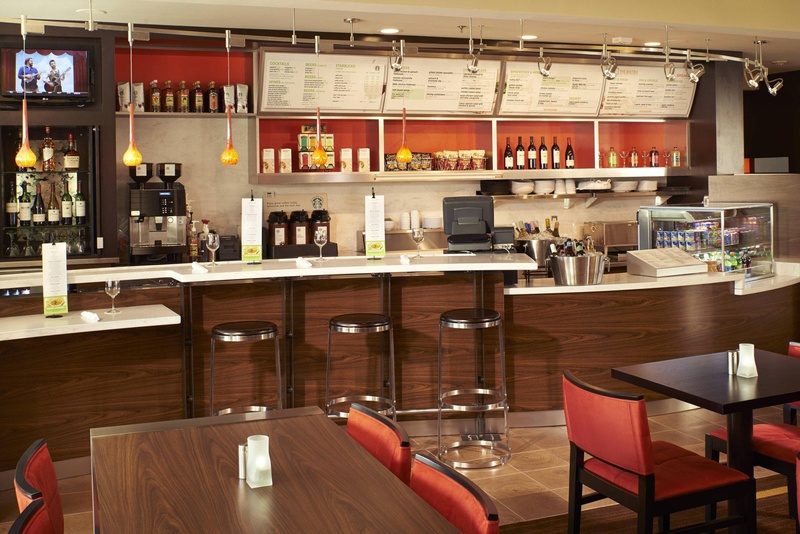 A breakfast buffet is available for purchase, as well as à la carte menu options. 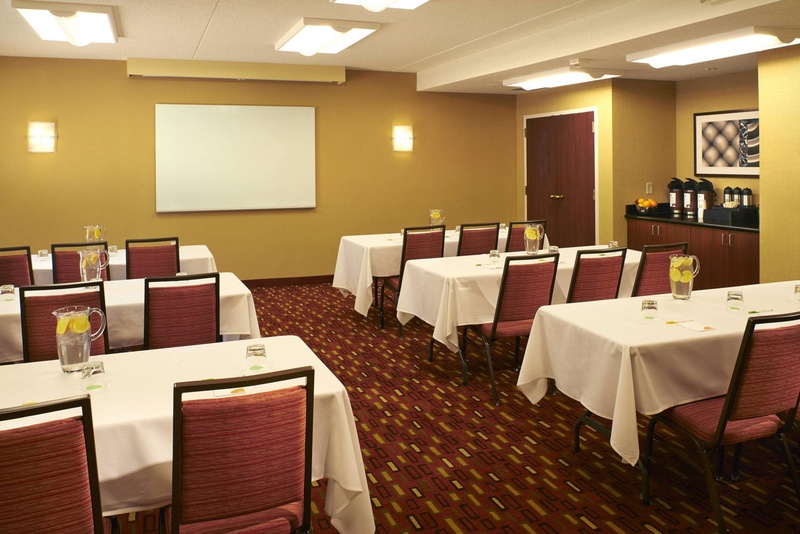 The hotel is located just off the Interstate 465, less than a kilometre north of Allisonville Road (Exit 35). Very good budget hotel. Easily accessible by car and close to shopping areas. Great rooms and fantastic service. Great pool. Awesome vibe. Close to shopping. Close to highway. Excellent location. Clean rooms. Rooms clean. Clean room. Excellent staff. Friendly staff. Great front desk. Great night sleep. Great bedding. Queen size bed. Well kept property. Updated lobby area. Nice courtyard. Makes it feel like home. Updated lobby area. Newer hotels. Made my stay worthwhile. Reasonable fee. Complimentary breakfasts. No continental breakfast. Had to pay for breakfast. Complimentary breakfasts.